We are pleased to welcome Pie for Providers to the third cohort of the Women’s Tech Accelerator at Brad’s Deals! 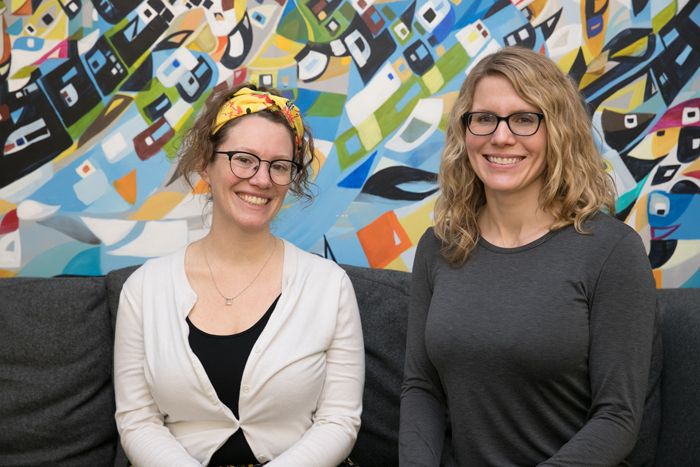 Founded in 2017 by Chelsea Sprayregen and Hannah Meyer, Pie for Providers uses technology to help child care providers build stronger businesses. Their digital assistant simplifies government programs to help providers earn more revenue and spend less time on administrative work. They’re a startup social enterprise founded in Chicago with support from the University of Chicago and OpenIDEO. Currently in its third cohort, the Women’s Tech Accelerator is a six to twelve month program created by Brad’s Deals to help female-led businesses overcome some of the most common obstacles that they face when getting their businesses off the ground. Accelerator participants get free desk and meeting space, internet, and access to experts who mentor them on topics ranging from marketing and finance to web and app development. To learn more, including how you can apply for our next cohort, visit the Women’s Tech Accelerator online.